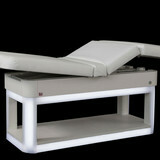 Elysium is the professional bed by Iso Benessere for SPA and massage treatments. 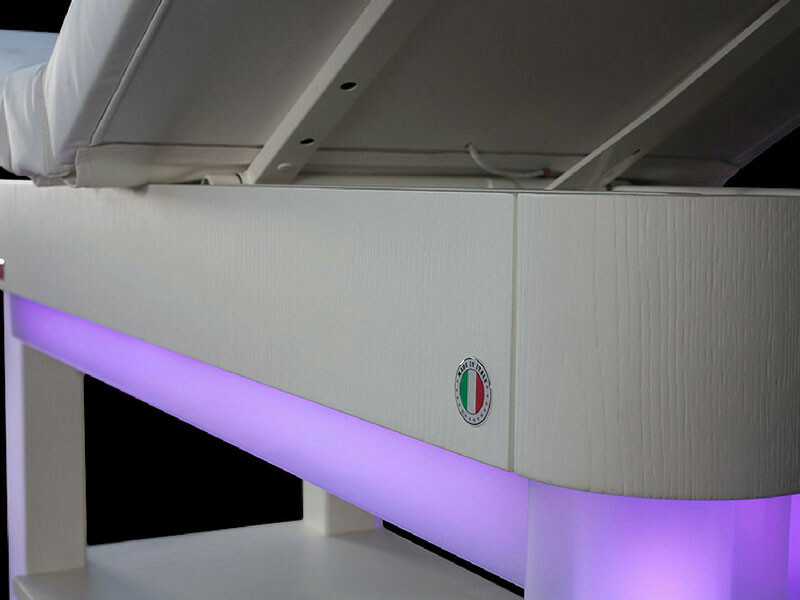 The stylish and modern design, the high comfort and the LED lights effect, create an emotional atmosphere in the whole room. 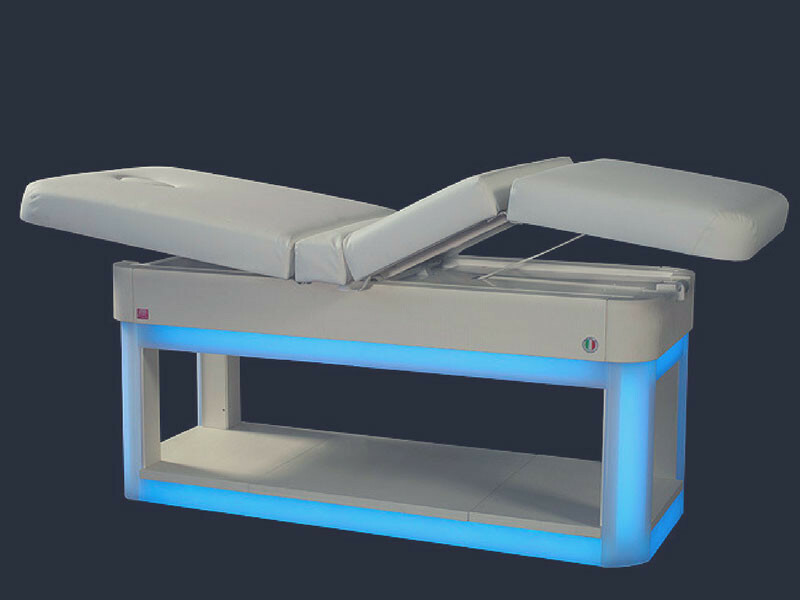 The Elysium comfort is granted by the dimensions of its soft mattress, which is 10 cm thick and the practical adjustment system with 3 motors – upwards and downward table movement and movable position of the seat - All motors provided with the basic version. 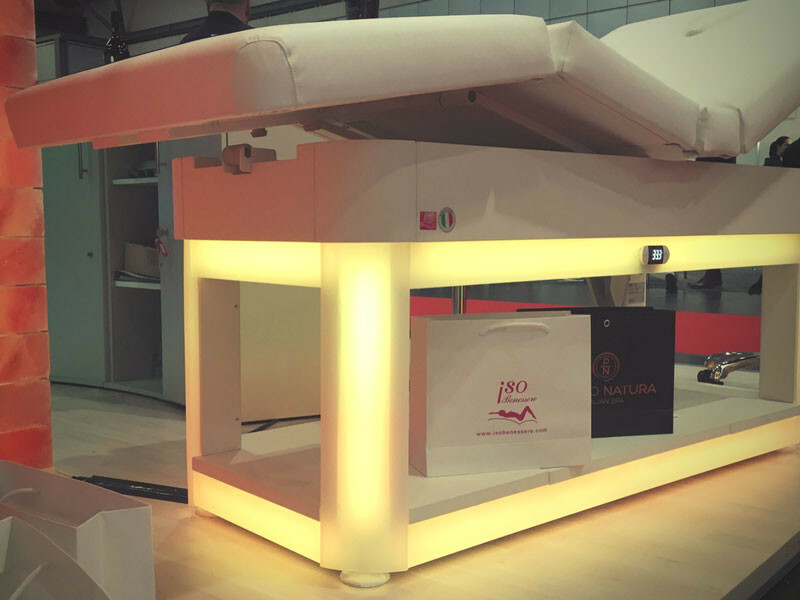 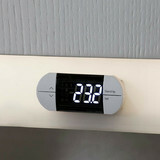 The remote control sets the back side, the height and the legs side of the mattress, the positions chosen can be saved for re-use. 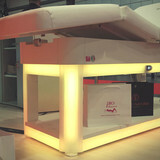 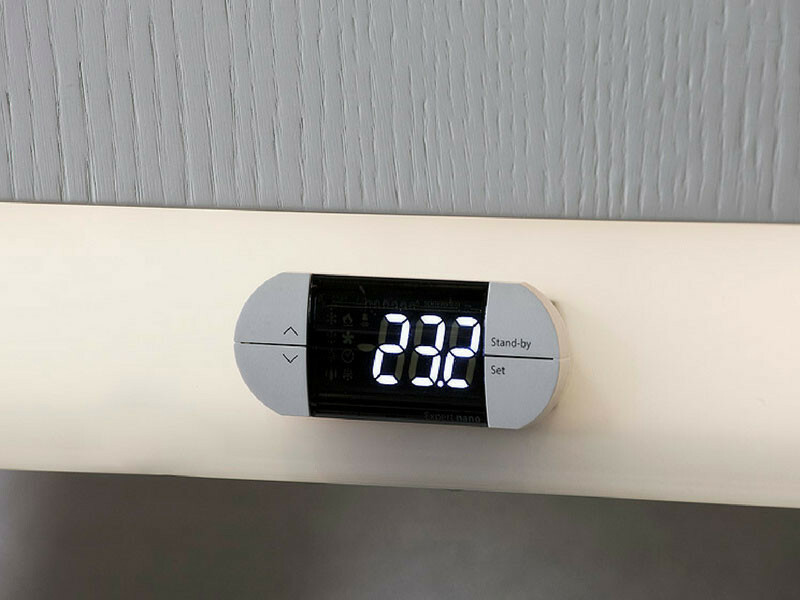 The heating system for the mattress offers a pleasant relaxing session. 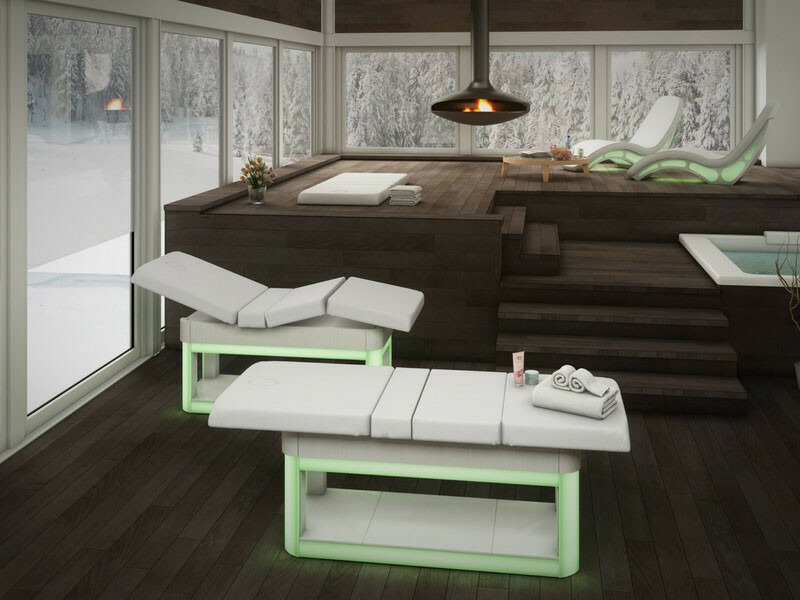 Cleaning and maintenance are easy thanks to its structure and design. 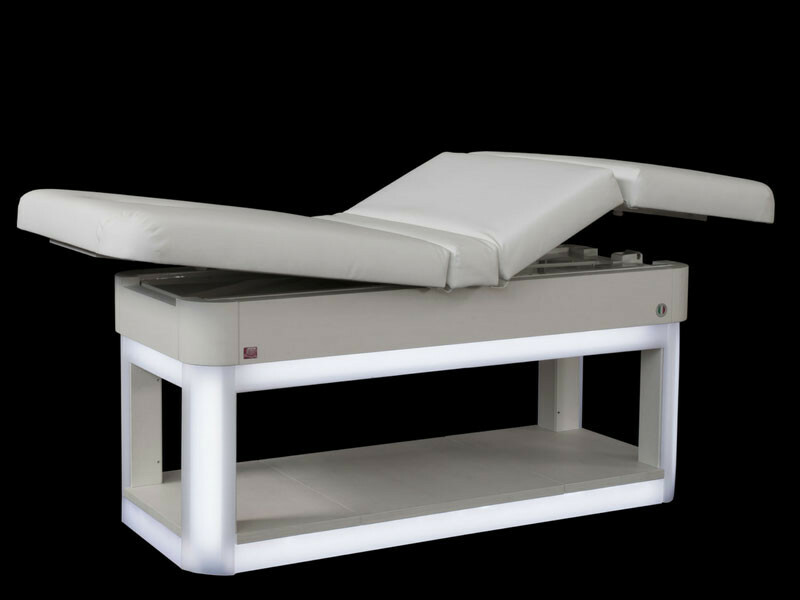 The soft shapes of the rounded face hole makes the prone position even more comfortable, the guest can fully relax neck and shoulder muscles. 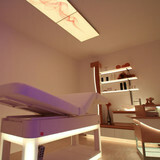 The LED RGB lights effect surrounds the frame and gives the idea to lay down while floating on colors. 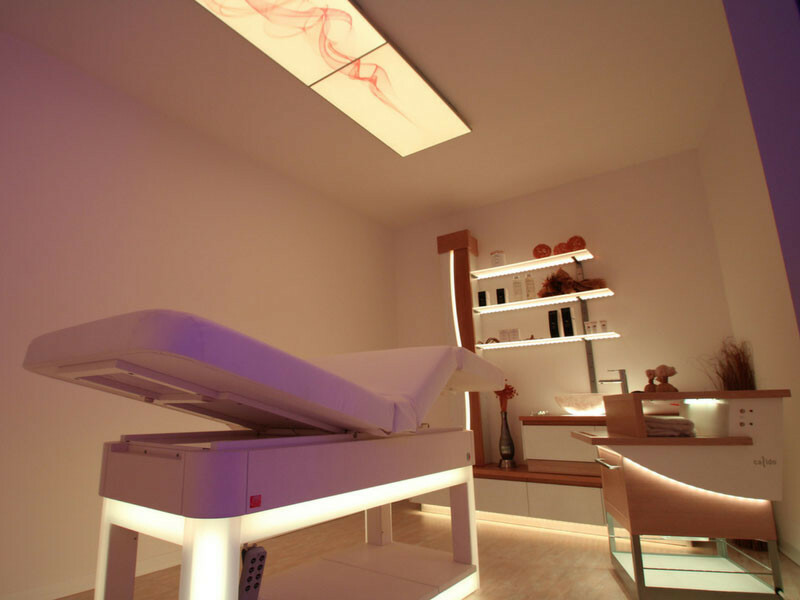 The innovative chromo therapy system creates an atmosphere which involves all senses. 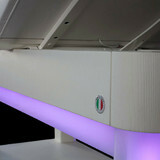 The cabin can be enriched with accessory such as our CORNER LUX, suitable for walls or ceilings. 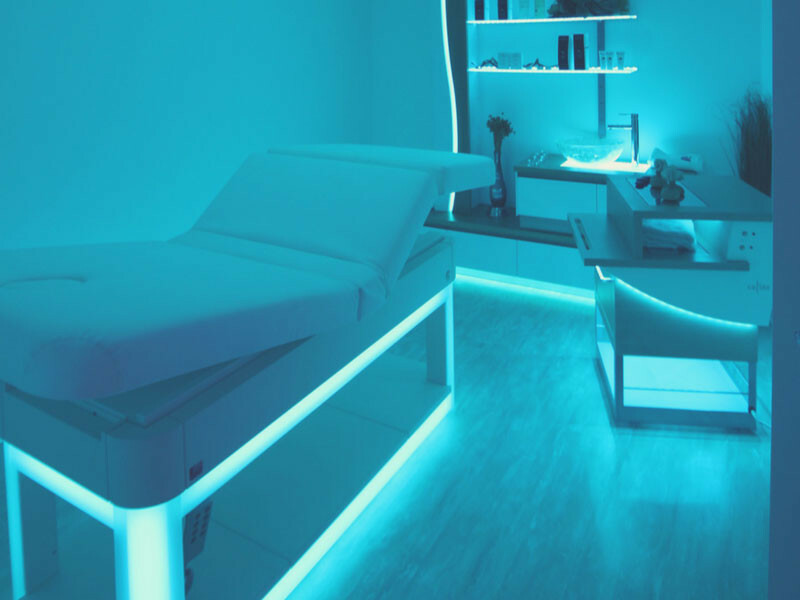 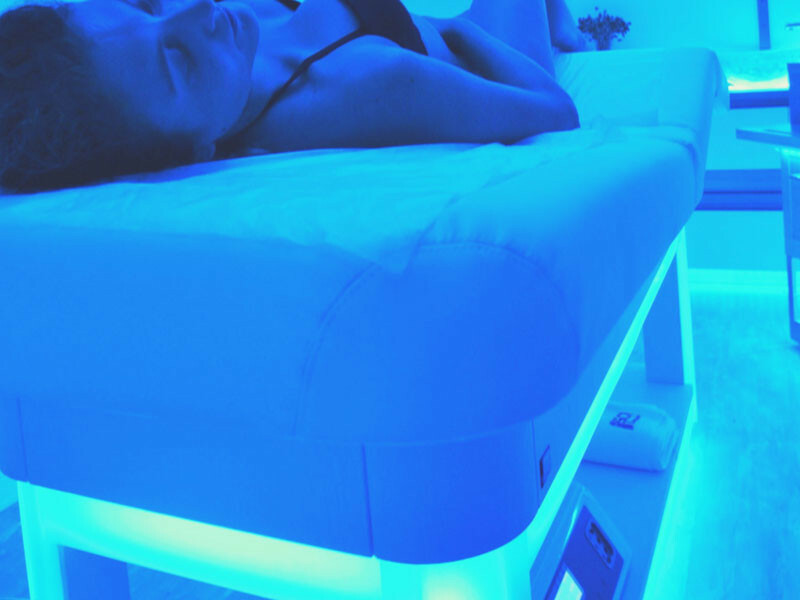 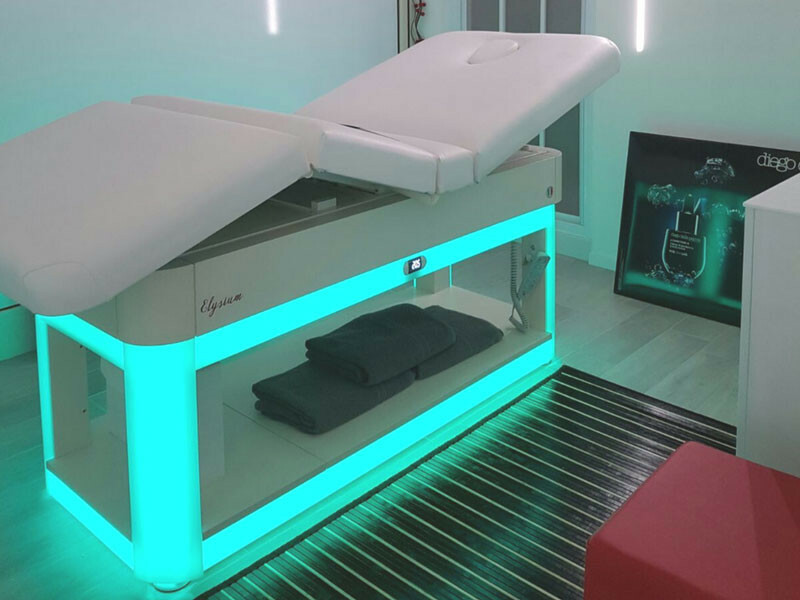 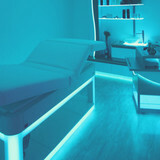 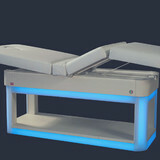 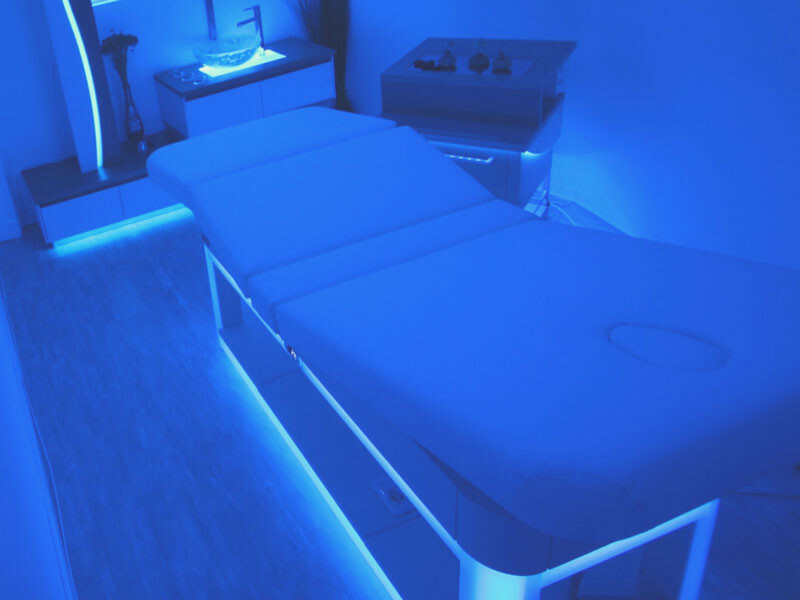 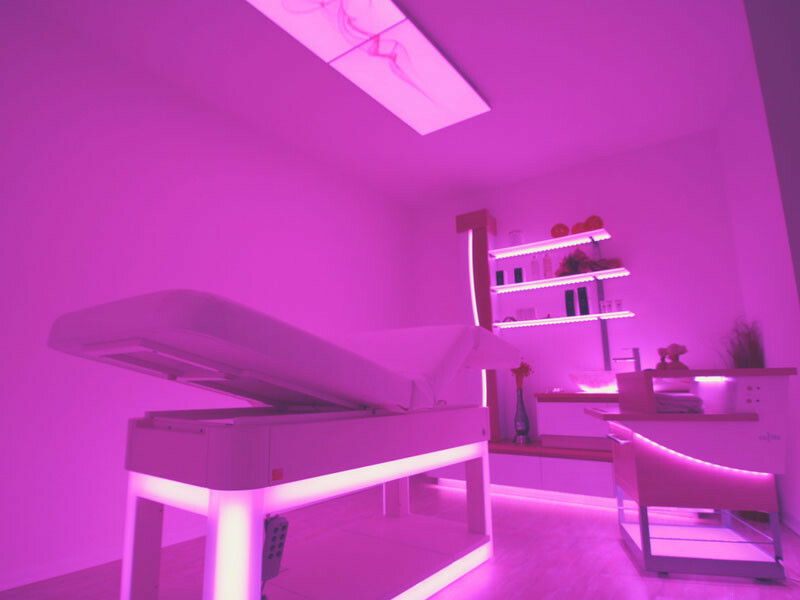 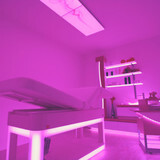 Elysium is the professional bed for SPA and massage treatments that offers a high comfort and a unique atmosphere combined with a stylish design and an advanced chromotherapy system.